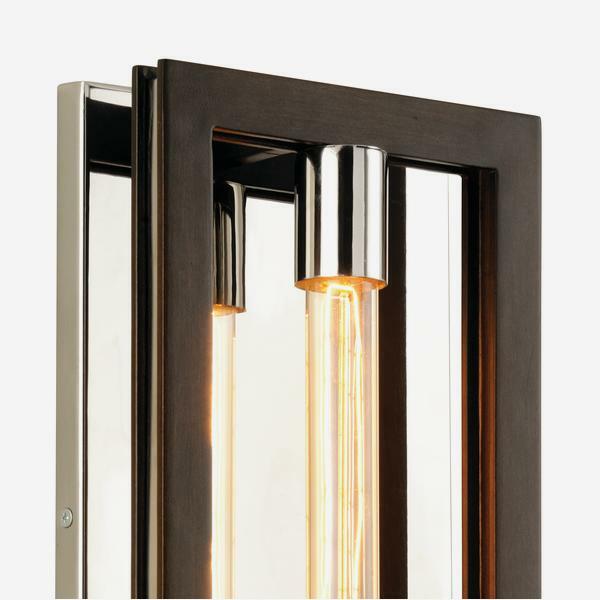 Virgo shows a bar of light suspended in a bronze finish frame and with sleek steel fixings. 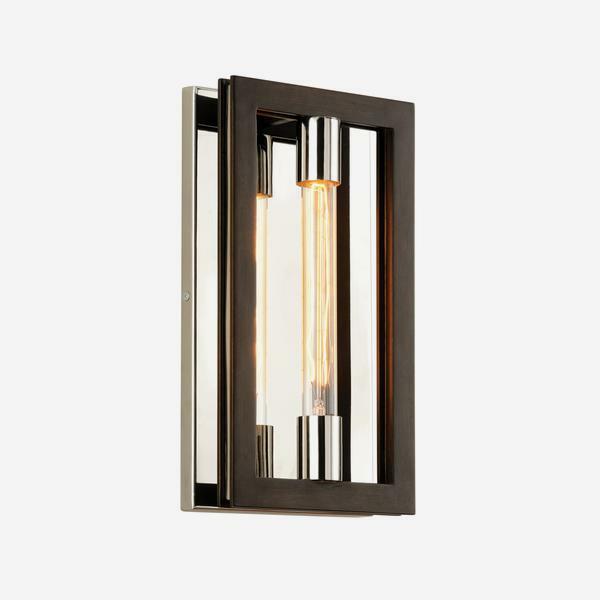 Just off the wall this sconce feels modern and geometric and has a touch of sci-fi. The bulb reflects in the steel backdrop giving off a striking illusion and double ethereal glow.